Customization of automobiles depends solely on the owner’s preference to have a “customized” or different vehicle from its counterparts of the same make and model. 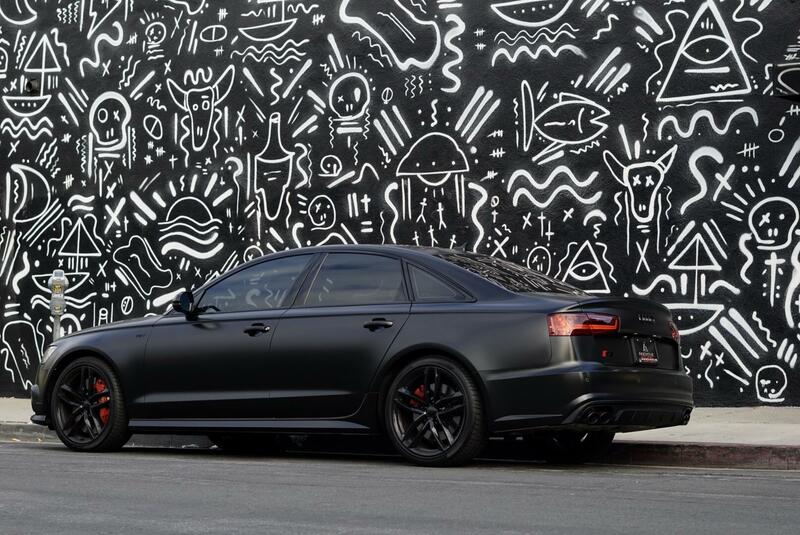 As an Audi S6 owner, you too may have your car customized as you wish to give it a more contemporary look that makes it stand out in a crowd. 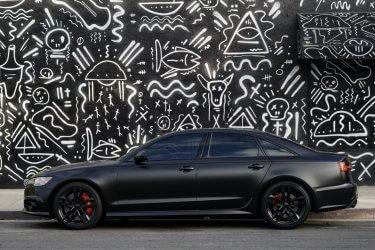 Audi accessories include custom finished wheels, performance exhaust system, ECU tune, suspension upgrades, aerodynamic kits and much more – all available at Innovative Auto Craft. 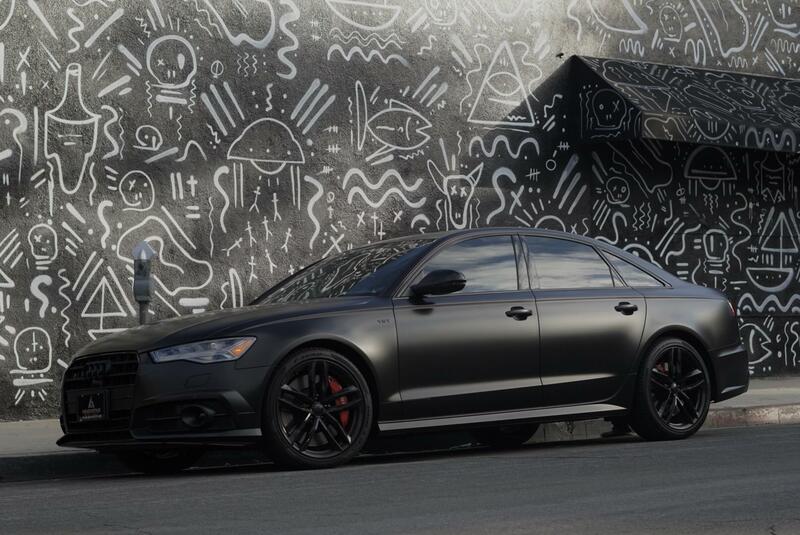 The team at Innovative Auto Craft added their own touch to the Audi S6 (pictured above) by wrapping it in 3M Satin Black. In order to get a precise vinyl wrap, the vehicle is carefully disassembled and reassembled once the transformation is complete. This allows us extremely detailed with the vinyl wrap. The wrap is complemented by the high gloss black powder-coated wheels and blacked out chrome. The final detail to really get this Audi to the dark side, Innovative Auto Craft finished off the vehicle with full ceramic window tints. You can also get your Audi S6 fitted with concave wheels for better road grip and to prevent skidding. Use body kits to exaggerate the vehicle’s outward or downward proportions or even press the button for a widebody conversion, a modification that’s been popular over the last few years. To enhance driving safety, install LED light kits, known for their versatility, portability, and low-cost. LED lights can be installed for head & tail lights, as well as for interior lighting. This lighting may also be effectively used inside engine bays and also on the car’s undercarriage and wheels. Take extra protection for the vehicle’s front end by installing a sheet metal billet, blacked-out, mesh, or even an LED incorporated grille insert. Increase your vehicle’s engine power considerably by installing a bolt-on turbocharger kit with its forced-air induction process; a high-flow exhaust system & Electronic Control Unit (ECU) tuning for steady performance and extra power. These in their totality could give you that power surge that only a new engine can! Custom made floor mats sure make your car’s interiors look trendy. Choose highly stylized mats that meet your utilitarian needs, particularly for snowy and rainy weather conditions. These can also be tailor-fitted to an Audi S6 for secured placement under the feet of passengers. These are also easily changeable when you wish to alter the car’s interior decoration. As a sound freak, you could also install the latest stereo unit with its subwoofers and high-end speakers having Bluetooth connectivity, DVD receivers, and hard drive units on-board. Got ideas or suggestions for future customization plans? We’d love to hear from you! Additionally, keep an eye out for our latest custom cars.